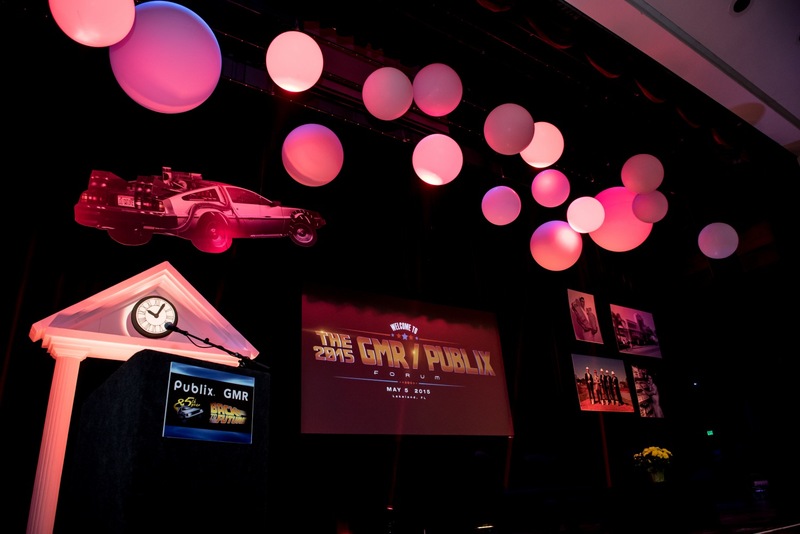 Party People enjoys working with our corporate clients to help bring their vision to life. 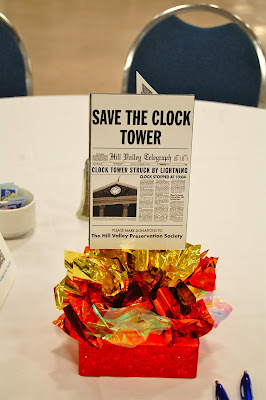 This year the Theme was Back to the future. 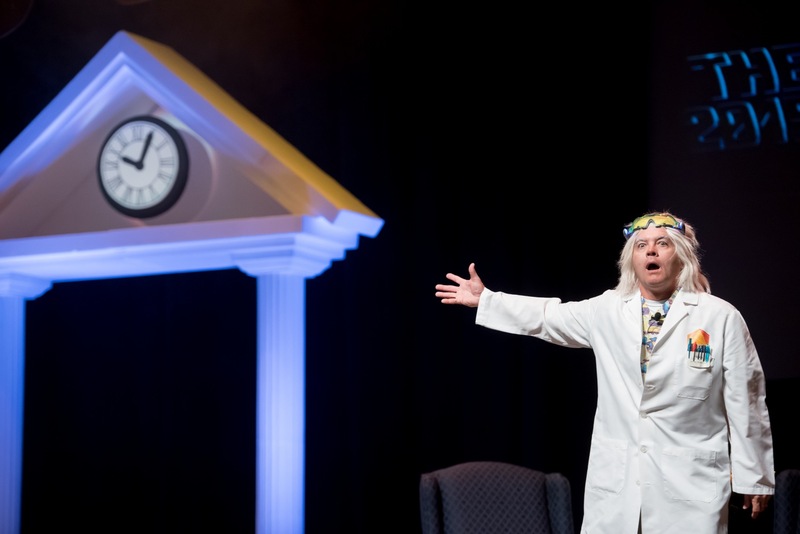 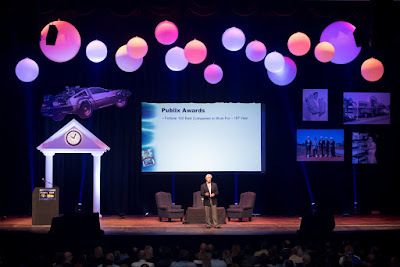 Party People Created a Clock tower for the stage, Delorean flying over tower, and used 3 ft to 5 ft white balloons to give a futuristic feel that was transformed with professional lighting throughout the presentation. Party People Created custom centerpieces for the Morning breakfast prior to the presentation. 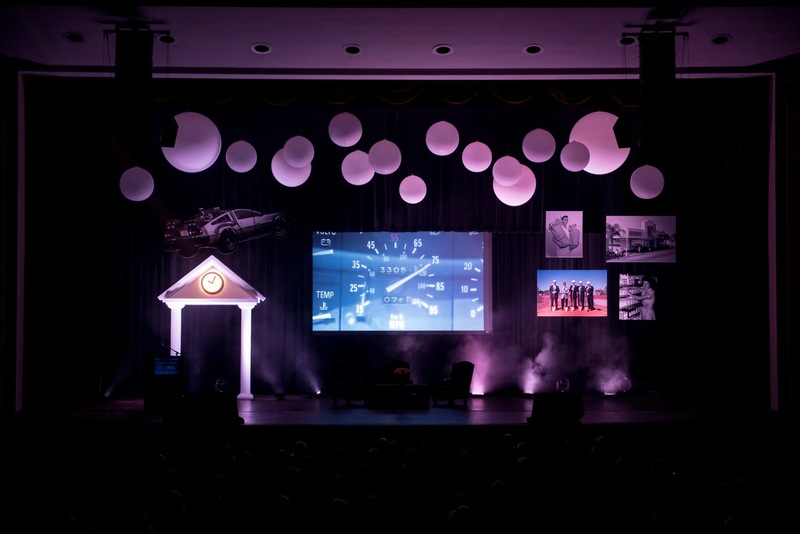 Jumbo balloons look amazing on stage with added lighting effects to make a dynamic impact. Visit our website http://partypeopleevents.com Call 1-800-752-3650 ext 2 to have our Team create custom decor for your event.